Bring Me The Horizon's Oli Sykes destroyed Coldplay's table at NME Awards last night. In an interview with NME following the event, members of band clarified Oli's motives. Keyboardist Jordan Fish said: "I don't think Oli was aiming for Coldplay. It was just whoever was nearest, it [just] happened to be Coldplay." 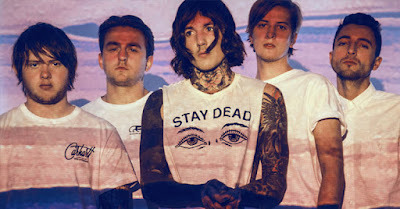 Oli Sykes added: "I had no sound in my ears so I thought 'Well, there might be sound out there.' There weren't sound out there, so when I came back there was a table, which I got on. There wasn't any sound on there, but it was a bit more energetic up there. It was in no way a protest against Coldplay."